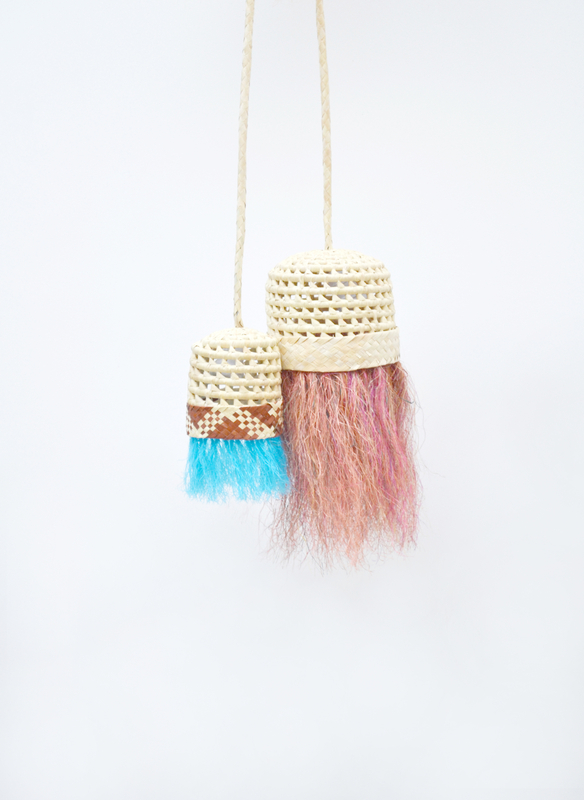 The colourful lamps of the Guri Guri-collection are like young boys playing on the beach. 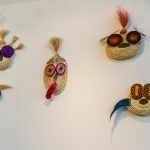 By varying the colours, shapes and structure of the natural material Linde Freya created different, cheerful characters. 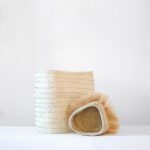 Although most lamps are completely made out of the natural Carnaúba fibres, she added some extra local flavour by integrating commonly used plastic treads.